Stacy Parks Miller, former Centre County district attorney, with James and Evelyn Piazza, parents of Timothy Piazza, 19, of Readington Township, New Jersey, during a news conference at the Bellefonte courthouse. The Timothy J. Piazza Antihazing Law, named for the student who died at a Penn State fraternity event in 2017, was signed into Pennsylvania law last October. The law requires universities to set up policies, practices and reporting procedures to prevent hazing, and schools were required to compile public reports documenting hazing incidents in the past 5 years and make them publicly available by Jan. 15. But as reports from many Pennsylvania schools include detailed descriptions of hazing incidents, Pitt’s hazing report provides just the bare minimum. Not only are Pitt’s reporting practices contrary to the spirit of the Timothy J. Piazza law, the limited information provided fails to protect students from hazing. The bill only requires schools to “include information concerning violations that have been reported to the institution.” Despite this low requirement, schools have voluntarily documented details surrounding the incidents and their reporting. Penn State reported 31 alleged incidents of hazing and described physical and verbal abuse, including sleep deprivation and dunking students in ice and water. Carnegie Mellon University reported three alleged incidents including an instance where students were force-fed cold food. The University of Pittsburgh only reported the policy violated and any sanctions that followed. For the 2018 Sigma Chi hazing incident, for example, Pitt’s hazing report lists the sections of Pitt’s code of conduct the fraternity violated. It doesn’t report that the student was hospitalized. For the 2018 Alpha Kappa Alpha hazing incident, when a dozen sorority pledges reported physical and emotional hazing to the Penn Hills Police Department, Pitt’s report does not include the information about the police report the victims filed. “I think the more detailed the better, obviously,” Senate Majority Leader Jake Corman, R-State College, said to TribLIVE after reviewing the posted reports. 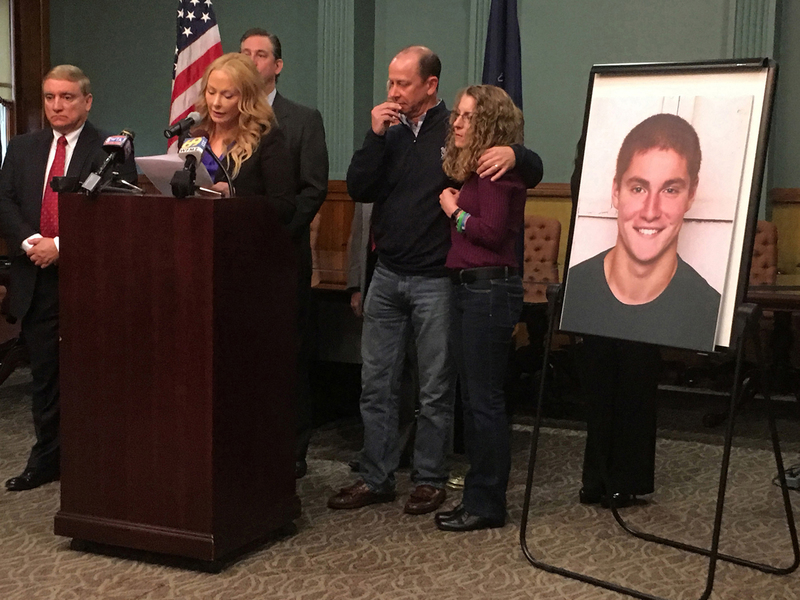 Corman introduced the legislation with the parents of Timothy Piazza in early 2018 after Piazza died after being hazed at a Penn State fraternity event. Corman explained to TribLIVE that not only are the reports meant to give students and families the information they need to choose a school, it encourages schools to better track and address hazing incidents to avoid preventable tragedies like Piazza’s death. Despite the goals of the Timothy J. Piazza law and the actions of other institutions to closely track and report hazing, Pitt’s reporting practices demonstrate a lack of will to fulfill a genuine commitment to the legislation. Withholding information surrounding hazing incidents does not help students make informed decisions about student organizations and does not demonstrate a commitment to transparency. More importantly, Pitt’s failure to provide anything above what is required by law is a failed commitment to student safety.